SECTION 03380: PATENE ARTECTURA STAINED CONCRETE: The Contractor for color stained PATENE ARTECTURA concrete paving shall provide conclusive proof that he is qualified to and has previously produced vertical color stained paving and can comply with the provisions specified herein and shown on the plans. Proof shall be in three high quality installations, similar in scope to that specified herein, and located within a 50 mile radius of the City. Evidence that the Contractor is qualified to comply with the requirements specified herein shall be submitted to and be subject to the approval of the Architect. Concrete Stain Colors: QC or Bomanite T.B.D. 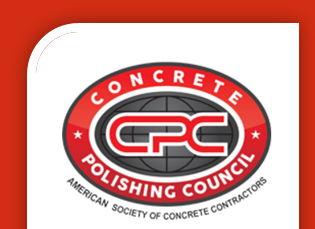 Concrete to be stained shall have a minimum compressive strength of 3000 psi. Portland cement shall have conformed to ASTM C 150, Type I, II, or IV. Aggregate shall have conformed to ASTM C33 and shall have been minus 3/4 inch. Aggregate size of 3/4 inch or larger is permissible in some applications. Mix water shall have been fresh, clean, and potable. An air-entraining agent conforming to ASTM C260 and/or a normal set or retarded-set water reducing admixture conforming to ASTM C 494 may have been used. Calcium chloride shall not have been permitted in the mix. Curing method employed should have been breathable curing paper. No liquid curing compounds should ever be used. If liquid cures have been used, stain coloration traits will become more unpredictable. Concrete wall “sack & patch” areas usually render a color variance. The concrete surface shall be lightly sandblasted. The various stain colors shall be applied to the concrete surface. The stained concrete surface shall be sealed.